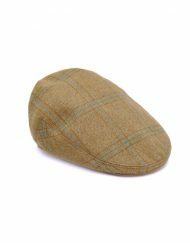 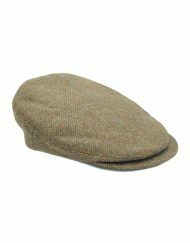 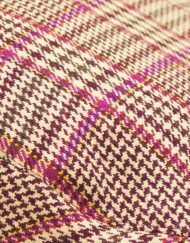 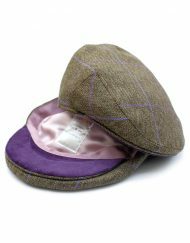 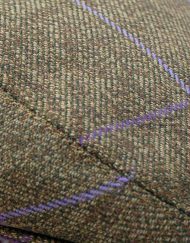 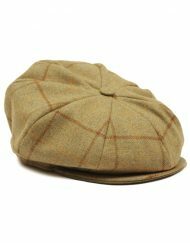 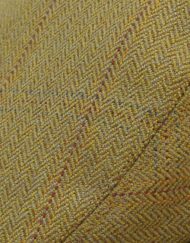 Our distinguished Boyton Helmsley tweed cap has been hand woven on the Isle of Lewis and is a modest cloth of hidden qualities. 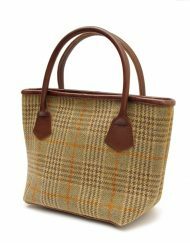 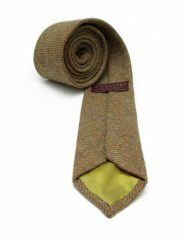 A favourite out in the field, this weave combines chestnut, various mossy greens and gentle blue flecks in a versatile weave to create a elegant and subtle finish. 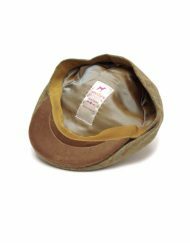 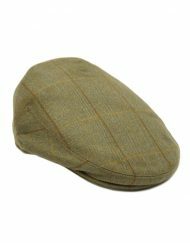 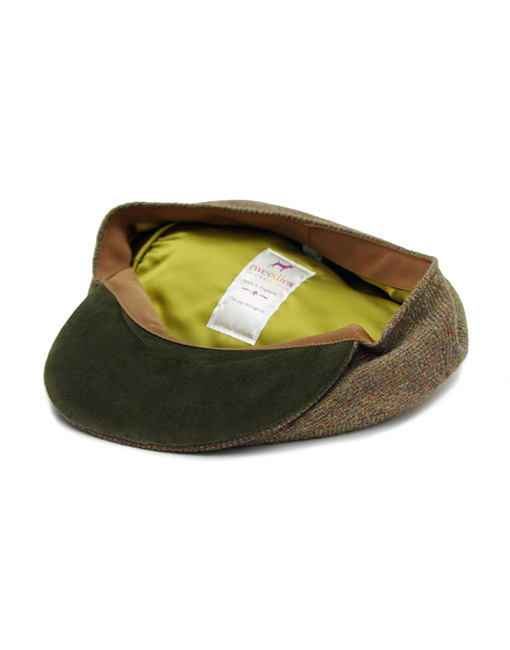 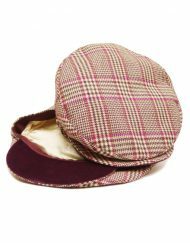 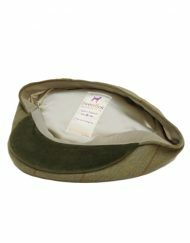 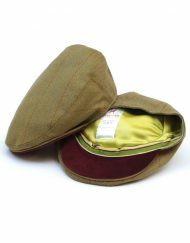 We have lined this cap in a stunning chartreuse lining with a warm dun galloon. 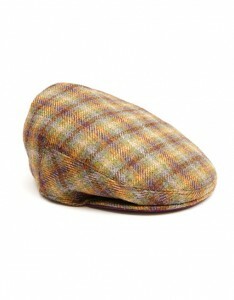 Under the peak is discrete moss velvet. 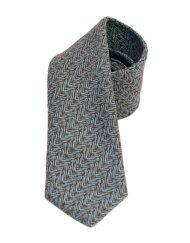 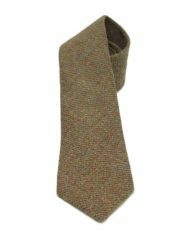 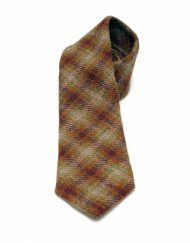 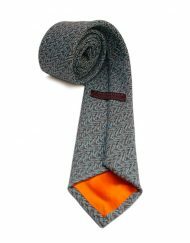 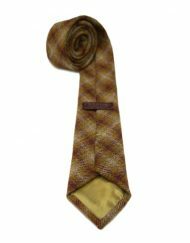 Also available in a tie and bow tie. Made in England. 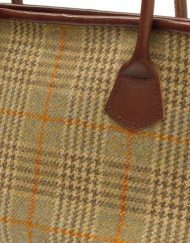 Hand-tailored and made in England. 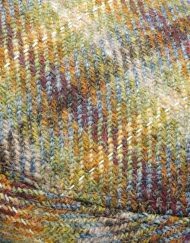 Moss velvet under the peak. 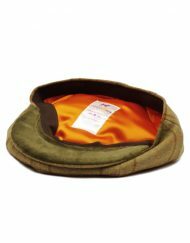 Wadding filled lining for extra warmth and softness.